From the opening octave-bass riff in "Tin Soldiers" it was immediately obvious: Ali is back! 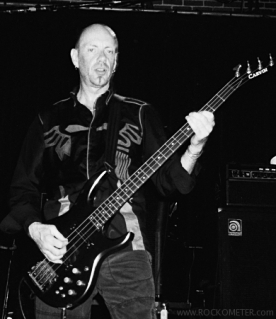 Yes, after a 15-year absence original member Ali McMordie has rejoined, and his trademark bass fills that had been missing made a noticeable difference. The most memorable were heard in "Tin Soldiers", "Nobody's Hero" and "Johnny Was", and the backup vocals on "Barbed Wire Love" finally sounded right again. The new Ali showed his age but jumped around the stage with the energy of a 20-year old. Of course anyone who saw Ali play 15 years ago is also showing their age but hey, OLD GUYS RULE! The set consisted mostly of material from the original 4 studio albums, and only lightly touched on the material recorded during Foxton's tenure. 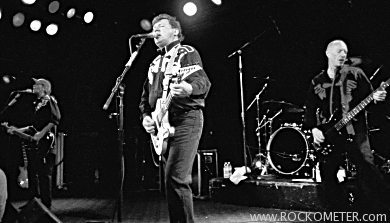 The newer songs included the title track from SLF's latest, "Guitar and Drum" and the Joe Strummer tribute "Strummerville" from the same album. One letdown for many fans that there were no tour shirts this time around, as it was a short tour put together in a hurry. Hopefully that means there will be a full-length US tour in the not-so distant future.